You’ll be in the cradle of a holistic experience during your time at Lantern Stay Resort, a unique jungle resort in Wayanad. If you are the type who loves adventure forest resorts or wants to stay away from the urban humdrum, and hate those irritating weekend calls, you are in the right place. You can enjoy a thrilling experience in Wayanad with the Jungle Resort. Our resort is 6-km away from anything with an engine and that can honk. Yet we are just a call away from picking you up from Kalpetta, a well-organised town in Wayanad, Kerala. Once at Lantern Stay, what you get to discover is yourself. This is a place where you just let go. Be it trekking in the vast expanse of forest around where we are, or climbing Chembra Peak, the highest in Wayanad, this is the right place for your inner being. This could be an ideal place for nature lovers, bird watchers or those who are looking for the top forest resorts in Wayanad. Sorry, we don’t have shopping malls anywhere around. Neither do we have TV sets to spoil your peace. 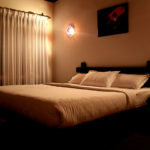 But what we do have are the best resorts in Wayanad with loads and loads of pure joy in this uniquely natural environment. You take a walk through our cardamom plantations to see how one of the world’s favourite spices is cultivated and processed during the season. Or else, you just let yourself doze off in a hammock. We even have the best natural music – a blend of the waterfall flowing right through our site and the chirping of exotic birds and simians that are aplenty. 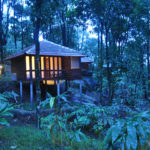 Discover a different world with the Best forest resort in Kerala. Open bathroom with garden, fire place, traditional kerala construction with tile roof and red oxide flooring. Balcony opens up to give a view of the lush green valley and the stream. Wooden tree house overlooking the stream. Wooden paneling floor. Attached Bathroom with all basic amenities. Wooden cottages with balcony. Attached Bathroom with all basic amenities. This spacious villa has a living area, a bedroom, kitchenette with dining space, attached bathroom with all basic amenities. A spacious balcony is the highlight of this villa and ideal space for a small family. 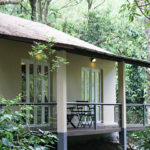 It could be the best resort option for honeymoon in Wayanad. When it comes to planning a romantic getaway in Kerala, Wayanad is the all-time choice for nature lovers. Especially if it is about honeymoon trip, selecting a serene place with lots of privacy is essential. As Honeymoon is the first trip taken together after the big day, a perfect place should be chosen to spend the quality time. Make sure partner’s preference is also considered while selecting the destination. Many a writer, painter and musician must have got influenced by the intoxicating scenic beauty of Wayanad. Sure many more are waiting to be lured by this temptress that is nature along the Western Ghats in the southern Indian state of Kerala. But if you want to get a taste of Wayanad at a spot closest anyone can get, try Lantern Stay. I had an unique experience in Lanterstay. The place is a blend of beauty, serenity and wilderness in the heart of the forest. The resort is in a mesmerizing world of mist, mountains, waterfalls and biodiversity. I had a good feeling about the place since the little off road journey to get to the resort, passing by tea and cardamom plantations and crossing forest and small rivers. 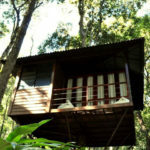 i had a great experience at lantern stay, it is in true meaning A DATE WITH THE NATURE. The hospitality provided to us made us very comfortable, Mr. Bikul kept his best men at work, I really admired MR. Mohan who drove us to the resort. A must visit for all nature and wilderness lovers... where the last engine sound is 6kms away. Tucked into a dense rainforest area at waynad where the last 3kms needs a four wheel provided by resort... at times we come across elephants crossing path since we only come in their path.... all safety and comforts maintained which one can think off at the same time.. I took a left from Mepedi town, It was an lifetime experience, to breath the purest air and natural spring water tickled my feet. The silence echoed peace inside me. own birds, own waterfalls, own trees, own wild beauty and own the best resort in Wayanad.